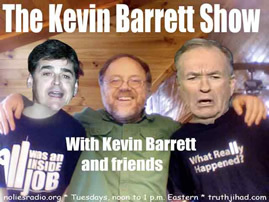 Jim Marrs: Are JFK & 9/11 conspiracies symptoms of something bigger? 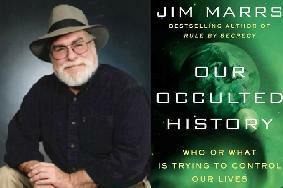 Jim Marrs is the only “conspiracy” author whose works are regularly issued by a major publisher and reviewed by the New York Times. Marrs is noted for Crossfire, the basis for Oliver Stone’s film JFK, and The Terror Conspiracy: 9/11 and the Loss of Liberty. His latest, Our Occulted History: Do the Global Elite Conceal Ancient Aliens? picks up where Rule by Secrecy left off, exploring various permutations of Zecharia Sitchin’s thesis that modern humans were genetically engineered by ancient aliens. Marrs suspects that a rear-guard of those ancient aliens, a faction of “trouble-makers,” remained on earth after some sort of inter-alien conflict, and has been preserving its elite bloodline while controlling the rest of us ever since. But that hasn’t stopped Marrs from talking about the Rothschilds and the Federal Reserve bankster cartel. This entry was posted on Tuesday, April 30th, 2013 at 6:32 am	and is filed under 9/11, Alien Abduction, False Flag/Fake Terror, Free Energy, Freedom, Justice, Kevin Barrett, Mind Control, News, Protest, UFO, War Crimes. You can follow any responses to this entry through the RSS 2.0 feed.